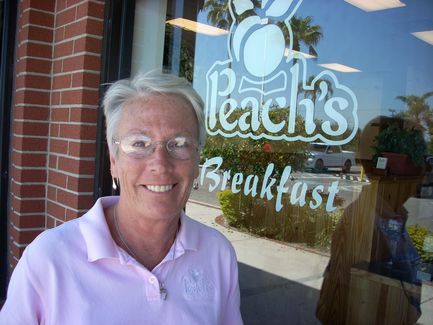 Tourist numbers are on a par with last year, said Kathy O'Bryan, manager of Peach's Restaurant on Holmes Beach. ANNA MARIA ISLAND — Every year for the past 25, Mark Short and his family leave the suburbs of Detroit for a week and come to Anna Maria Island for a vacation. Sometimes it’s for Easter week like this year, sometimes it’s in the summer. Still, some things have changed. For one, the Shorts now plan out everything they will spend for the week instead of just letting spontaneity rule. And instead of spending the whole week at a rented condo or house at the beach, they now save money by spending half their vacation with either Short’s sister-in-law, Nancy Haller, or his father-in-law, Jim Tyrrell, both of Bradenton. Occupancy levels for hotels and motels in Manatee County showed small incremental increases over last season, starting in December, said Jessica Grace, marketing and public relations director for the Bradenton Area Convention and Visitor’s Bureau.